I got into the habit of jogging once or twice a week recently and would like to share some of the thoughts why I think jogging is a good exercise worth carrying out. 1. First, the most obvious of all. To stay young, keep a healthy body and mantain my stamina. I don’t wanna lose to my father the next time I play baminton with him! 2. To get myself away from my computer. If you feel like your legs are getting shaky and can’t walk long distance anymore, you better start moving. 4. To reassemble my thoughts and what has been accomplish this week and what to do next week. 5. To enjoy time with myself. 6. I’m a Forrest Gump fan, and there was a part in the movie where he was unable to stop himself from running and he ended running the whole country. I think a big part of that was he emphasises about soul searching instead of really exercising. You can try that out too. 7. It’s the feeling of moving forward. It’s sort of like running towards your goal, if you can imagine what I mean. 8. To have an excuse to get myself a pair of new running shoes once in a while. 9. To help myself feel a bit better after a week of Japanese Sushi, Indian Curry, Caesar Salads, American Breakfast, Chinese Stir Fried Chao Mien (Noodle), Tasty Potato Chips, Sizzling Prawn etc etc. Oh, and I know I can have a good reason to taste them again too. 10. For man, it’s to keep your balls tight and fresh. If you always sit long hours without moving, you stand a chance to get testicular cancer, where the risk is 1 out of 250 and common among males 15-35 years old, particularly those in their mid twenties. Don’t believe me? I didn’t, but my doctor says so. It ain’t boring when you start to enjoy it. The key is to get started. But everyone has a definition of what an interesting exercise is like, so at the end of the day, it depends on the inidividual as well. Haha, that’s the attitude that i’m talking about! 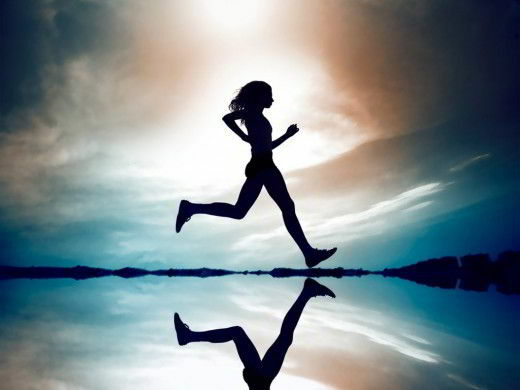 I am addicted to the best addiction in the world, jogging.